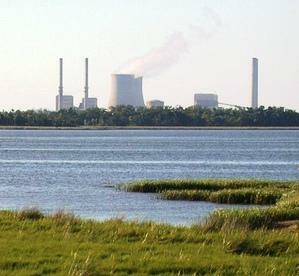 Utility companies in Florida are allowed to charge customers for power plants that may never be built. It’s allowed under a law passed in 2006, and the Southern Alliance for Clean Energy wants the law overturned. A legal challenge is now before the Florida Supreme Court. Utilities can charge customers up front for the cost of possibly building nuclear reactors. Alliance Attorney Gary Davis told the court that utilities are collecting nuclear cost recovery fees even though they haven’t shown any plans to build nuclear plants. Justice Barbara Pariente said that’s exactly why the Legislature passed a law allowing the utilities to charge the fees. One justice questioned the alliance’s motives, since the group has come out against nuclear power, but the alliance is asking the court to rule the law unconstitutional in part because it gives too much power to the Public Service Commission (PSC). The PSC has allowed Florida Power & Light and Progress Energy to charge hundreds of millions of dollars in fees to cover future nuclear projects. The utilities plan to build nuclear reactors in Miami-Dade and Levy counties that wouldn’t generate electricity for at least another ten years, if ever.